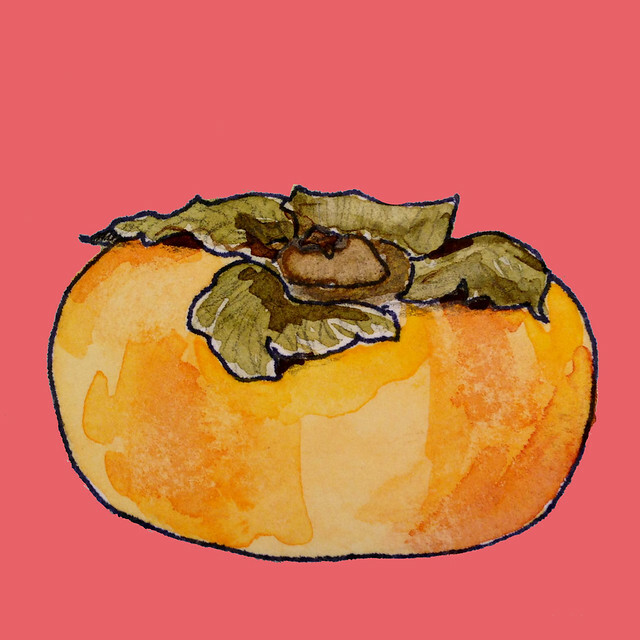 I’d never seen a persimmon before I moved to San Francisco. The first one I encountered, in a CSA box, was a total mystery. Eventually, I learned — slice them super thin, like potato chip-thin. Or roast them like tiny squashes, and eat them like cobbler. I’d intended to paint pomegranates this season, but they just never spoke to me. It might be something about their lumpiness that made them unsatisfying to paint. Maybe next year I’ll try again. For now, it’s all persimmons.